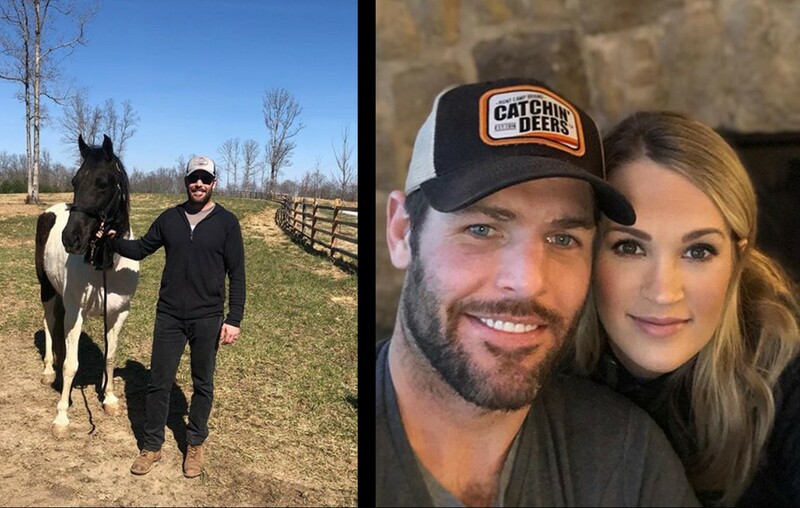 Mike Fisher and Carrie Underwood's horse, Bojangles, is adjusting to his new home in Franklin, Tennessee! Check out the beautiful American Paint Horse here! Retired NHL star Mike Fisher is living out a childhood dream by adding a horse to the family! Mike and wife Carrie Underwood‘s horse is named ‘Bojangles’ and he is beautiful! “Ever since I was a kid I’ve always wanted horses. Today I got my first! Bojangles is finally home! He’ll have a dancing partner in a couple days,” Fisher shared via Instagram along with a snapshot of his new friend. It appears that Bojangles won’t be the only horse on the family’s new property for long! Carrie seems to be equally excited about their latest addition! Her husband is turning into a regular country guy! “Every cowboy needs a horse…and a hat. I’m still working with him on the Southern accent. Meet Bojangles…newest addition to the Fisher family!” Carrie posted along with a series of photos. Mike knows how to wear a cowboy hat! As we’ve seen in past social media posts, Mike and Carrie enjoy horseback riding together and have even introduced their eldest son, Isaiah, to the activity. Horses are great teachers and we’re sure they will enjoy having horses of their own on their newly-built rural Tennessee estate in Franklin, Tennessee. The family recently moved out of their suburban Brentwood, Tennesse mansion and put it on the market. Mike Fisher and Carrie Underwood’s horse and country living dreams can certainly come true on their new property! Nothing like hearing Izzy say "I'm a cowboy" while horseback riding for the first time! He's a natural! Bojangles joins the Underwood-Fisher family’s other beloved pets— dogs Penny, Ace, and German Shepard puppy Zero. Congrats to the family on getting their very first horse! Share Carrie Underwood’s horse news with other country music fans!